Before you tie the knot, consider this: You and your significant other will be the undisputed center of attention for the better part of 24 hours – even more if you’ve opted for destination festivities. You will be seen from all angles, and photographed as such, for all to remember for decades to come. No pressure, right? We imagine this is how silver screen fixtures like Bradley Cooper or Ryan Gosling must feel on the night before a movie premiere, and we recommend that you channel the same mentality. Go the extra mile to ensure your outfit of choice is perfectly tailored, that your smile is bright, and, perhaps most important of all, your skin is ready for its close-up. Nailing small details like these cement your place as the evening’s leading man. 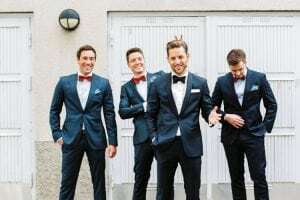 And whether you have a daily 5 o’clock shadow, or your stubble grows in over the course of a month, there’s one thing for certain: You’ll be shaving on your big day. Even if you’re macho enough to grow the beard of a strapping woodsman, you will (or should!) devote a portion of your wedding prep to sculpting your facial hair. As most of us learned when we first picked up a razor many moons ago, a bad shave is easy to come by. Exactly how to get a clean shave, is a delicate science that results in no nicks, burns, or, the most menacing of them all, razor bumps. 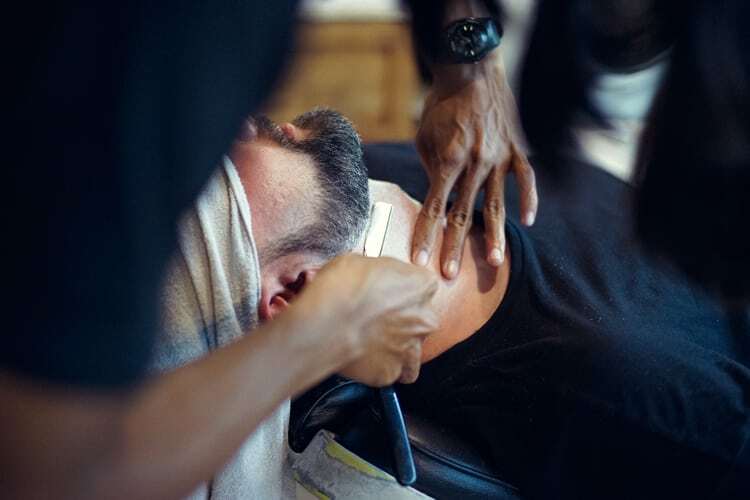 That’s why we asked the experts – from the lab teams behind everyday megabrands we know and love, to the most seasoned barbers in New York City – exactly how to prevent razor bumps. Gentlemen, it’s time to face the facts. Medically known as pseudofolliculitis barbae, these unsightly bumps aren’t entirely your fault. “It’s a result of facial hair, once cut, that curls back and begins to grow inward,” explains Dr. Terrence Keaney, the leading dermatologist for Dove Men+Care, “The immune system reacts against the ingrown hair as if it is an infection.” Sounds gross, cause it is, but luckily there are many home remedies for razor bumps, and most lie in the often neglected pre-shave and post-shave rituals. While most of us are busy focusing on the shave itself, these extra steps are vital to prevent razor bumps. Rome wasn’t built in a day, and your perfect complexion won’t be either. That’s why we suggest that you upgrade your shaving routine at least 1 month before your wedding day. Much like a muscle, your skin needs to be conditioned for stardom, and running an electric razor haphazardly through your face every day isn’t the way to achieve it. Instead, pull the plug and do it the old-fashioned way. If you’re short on time – which, admittedly, we all are – and want to remain loyal to the automatic razor’s efficiency and sleekness, just make sure you’re doing it right, and that means using the best equipment possible. Those automatic razor commercials you see during televised golf tournaments have a long list of technologically overwhelming qualities, but they aren’t just sales puffery. “Our products are designed to ensure that they adapt to every contour,” says Braun’s Global Scientific Communicator, Ben Wilson. “Our S9 shaving system has 5 elements that all work together to ensure a safe and effective shave, the Protective SkinGuard, in-between the cutting elements, smoothens the skin ensuring that the skin and hairs are optimally positioned.” The Braun S9 he’s referring to will set you back about $225, but wouldn’t you rather shave your face with a brand new Cadillac instead of a junker? Diet and stress levels dictate the quality of your skin, and healthy, blemish-free skin is an ideal base for the perfect shave. Keeping a close eye on your diet and stress levels is easier said than done, especially in the midst of pulling off your nuptials, we recommend you take the time to be a little selfish in order to be a little bit better looking. No one wants to see a run-down groom. 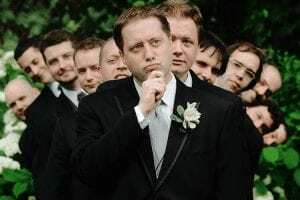 Your life would be made much easier by keeping a professional barber on-hand to expertly shave you and your entire wedding party. 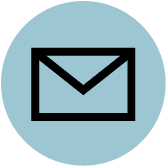 If you don’t feel like adding another line item to your growing tab of wedding “necessities,” then pay a visit to a professional to learn the tricks of their trade. 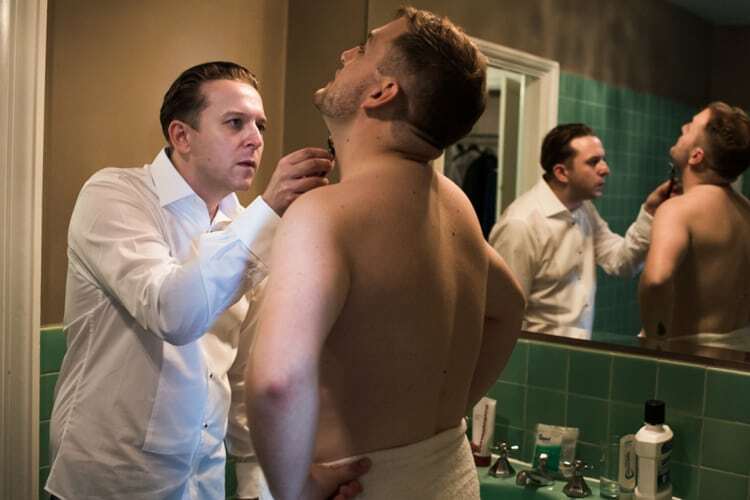 Seasoned pro Michael Haar, the creator of Haar & Co. Barbershop, knows all there is to the perfect cut and shave, and has shared his secrets with many grooms before you. “There’s always something to be learned and we love sharing knowledge with our clients,” Haar told us during a visit to his shop, located in Manhattan’s West Village. The man himself is unmistakable thanks to his expertly waxed moustache. “You’ll also be exposed to some of the best Italian shave products on the market.” No to shabby, eh? A visit will set you back no more than 30 bucks, and while reading these expert tips will go a long way, it helps even more to see them done in-person. Always shower before you shave. The hot water opens your pores and cleanses your skin, but the key here is not to dilly-dally after you jump out and towel off. 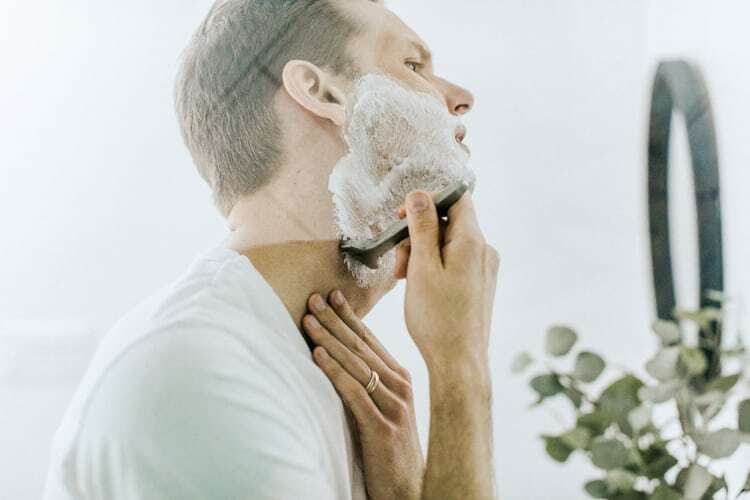 “We suggest that guys shave within 5 minutes post-shower while hair is more hydrated and softer allowing for an easier shave,” says Dr. Terrence Keaney. If you didn’t already do this in the shower, fully wash and exfoliate your face with warm water to remove dead skin cells and any hairs that are trapped against the skin’s surface. You want to shave on a clean surface, not one full of dirt and grime, because that leads to razor bumps. If your shaving cream looks like a bottle of hairspray, that means its packed with the wrong stuff. Aerosol products like foams and shave gels, while economical and easily accessible at your local drug store, don’t offer protection from the razor and can strip the skin thanks to its harsh, chemical-based formula. Instead, find one that looks like a screw-top dish of hair product or a tube of toothpaste. Just don’t make the same mistake I did, and brush your teeth with it in the morning. When you’re finally washed, exfoliated, lathered-up, and standing at the mirror with your fresh razor in-hand, don’t fall into the long-stroke trap. Simply put, long strokes are the enemy. Instead, keep your movement light and short, shaving an area of less than one square inch at a time. Long strokes make for an un-even result, and can cause lead to razor burn. It’s also important to note that pressure plays no role in getting a closer shave. You should be pressing, not pushing on your skin. Recall the last time you jumped into a cold pool. Things tend to… shrink up. To keep foreign objects out of your precious pores, you want to go through the same shrinking process by splashing your face with cold water as soon as you put your blade down. Zoolander was right, and, at the end of the day, don’t we all just want that Blue Steel look? Go the extra mile and moisturize your skin, and before grabbing any old cream it’s important to note two aspects of your moisturizer selection. The first, which should go without saying, is that it should be engineered for your face. Body and hand cream is specifically meant to for those portions of your manly frame. Your face, on the other hand, is much more delicate, and requires a softer formula. Second, your moisturizer of choice shouldn’t contain any alcohol, fragrances, or menthol. “Those ingredients will sting your skin, and can irritate existing razor bumps,” Mia Duchnowski, Creator of Oars + Alps skincare. The brand offers an aloe-based cream that helps skin retain its moisture. “If your skin is dry it will attract razor bumps,” she added. “Smooth, moisturized skin does not.” If you fail to moisturize, you risk the loss of collagen and reduction in elasticity, in addition to signs of aging, like lines and wrinkles. If it’s too late, and you’ve found yourself here to find out what to put on razor bumps, then you’re in luck. While there may not be one almighty razor bumps cure, there are several remedies you can try at home with items easily found in your medicine cabinet or refrigerator. First, be sure not to itch the affected area, and apply a cold compress to reduce inflammation. Second, disinfect the area with diluted apple cider vinegar, or a layer of Lidocaine or Neosporin. Third, you need to hydrate and heal. Treat your razor bumps like sunburn, and seal them up under a layer of aloe vera or, oddly enough, honey. These will lock in moisture, and reduce itching. Moving forward, don’t shave the irritated area and avoid any products with alcohol, which can burn your skin, and, as we learned, remove moisture. Shaving on your wedding day is a must. For those folically fortuitous, getting back in the razor game can be tricky, but the right gear and tactics can prevent some ugly bumpage. 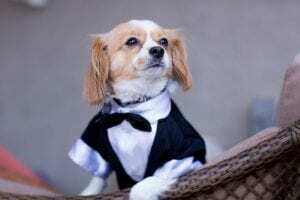 Don't rent the shirt, even if you rent the tux. This is one you're going to want to own.